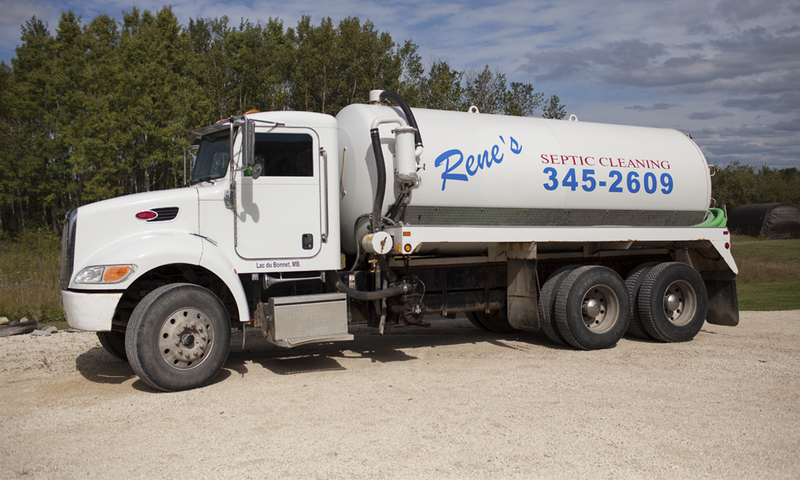 Warren & Chantal Zirk are the current owners/operators of the original Rene’s Septic Tank Cleaning Services. Purchased in 2001 from Chantal’s Dad, Ray Lansard who bought it back in 1974 from the original owner, a local Lac du Bonnet man named Rene Tetrault. Ray provided services for 27 years, has since retired but helps Warren out in the busy summer months. We are located in Lac du Bonnet and provide service West of the Winnipeg River bridge in Lac du Bonnet, Pinawa, Seven Sisters, the Whiteshell Provincial Park and surrounding areas. We currently have 1 tandem and 1 single axle truck to provide reliable services for your needs. We also provide portable toilet rentals for construction sites, weddings, or any outdoor gatherings.